SEVEN MAIN CAUSES OF BABY DUMPING AMONG TEENAGERS IN KUALA LUMPUR is a part of my group survey and report about Baby Dumping Among Teenagers in Kuala Lumpur for our English Language subject. The pie chart shows what could immediate reason for the teenagers to dump babies. There are several reasons for them to dump babies. Based on figure 6, 71% shows the reason for the teenagers to dump babies is feeling ashamed, followed by afraid of parent approval which is contributed 29%. As a conclusion, most of respondents choose afraid of parent approval as an immediate reason for the teenagers to dump babies. The chart above shows respond from respondents about is it fair to dump a baby if the mother is forced to. Based on the figure above, 17.6% of the respondents say yes about this question. Beside that 82.4% of respondent say no. "When the girl-child that was buried alive, Is asked for what crime she was slain?'. Therefore, dump a baby not a solution to address this issue. From the figures the three highest factors influence of baby dumping are lack of religious upbringing, poor application of religious knowledge and lack of parented care supervision. Figure 1 above showed 20 respondents choosing the lack of religious upbringing is the highest factors responsible for the problem of baby dumping among teenagers in Kuala Lumpur. Meanwhile, 17 respondents choosing the poor application of religious knowledge as a factor number 2 and 11 respondents choosing the lack of parented care supervision as a factor number 3 as a causes for the problem of baby dumping among teenagers in Kuala Lumpur. As a conclusion, there are seven causes of baby dumping. Out of the seven causes of baby dumping from our survey, respondents have choosing the 3 main causes namely, lack of religious upbringing, poor application of religious knowledge and lack of parented care supervision and the two lowest factors of baby dumping are media influence and economic problem (poverty). “Religious prayer pole” said our Prophet Muhammad S.A.W. When someone lacks of their religious prayers, their whole life is damaged. Without religious, humans are blind as they cannot have proper guidance to life. Sometimes, parents are always busy with their work. Teenagers must pay attention to them a lot. They need love and they need friends to talk about their problems. Some teenagers like to take opinions from their friends of different gender. When that happen, some of their boyfriends take advantage to do free promiscuity. When unwanted babies are born they are dumped because of absence of adult adence. Family break-ups happen after a long period of misunderstandings, fighting and unhappiness. Sometimes they happen suddenly and it is hard for children to understand the situation. Children are mostly affected by this kind of situation. If both their mother and father decide to a divorce and cannot raise their children alone, the tendency is that they will dump their child. This child will become homeless and find himself alone. In addition, peer influence also leads to cases of baby dumping occurred. This is because at a young age, teens are very easily influenced by their peers. This problem becomes worse when they associate with negative peers. Negative friends will invite young people to do things outside the boundaries of religion and norms of society, such as going to places of entertainment such as disco, taking drugs and doing free association. Many teens who fall into promiscuity, and eventually reach a dead end to find her self with unwanted pregnancy. In desperation, they have to discard their babies. As we know, media such as Majalah Mangga, URTV always publishes many articles and news about social life. Sometimes television also highlights social life. Such matters encourage teenagers to follow the example expose. If the teenagers come from poor family, they always have economic problem. Sometimes they see economic problem as a one way to go far away from the family. Sometimes they become prostitude to make some easy money. So from promiscuous activity. When unwanted babies are borned, without think, they dump the babies anywhere without mercy. With this sharing, I hope our survey about Factors influence of baby dumping including SEVEN MAIN CAUSES OF BABY DUMPING AMONG TEENAGERS IN KUALA LUMPUR can help together to exterminate baby dumping cases that happen anywhere. How about your opinion? 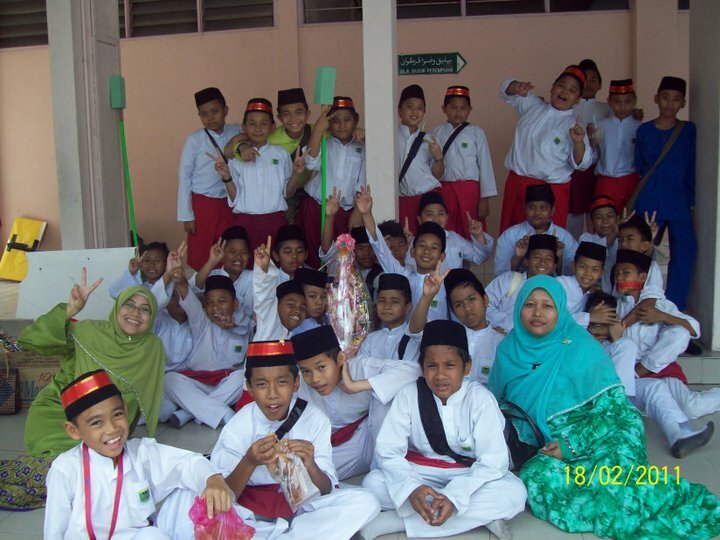 Note : This article published on 08/06/2013 at this Kisah Cikgu ieta blog. Update from time to time if necessary. Thank you reading. Very terrible and frightened when reading this articles. I'm pray to Allah for save our nation and this immoral activity will stop. BY the way all individual must take a responsible for prevent this from happened in future. Correct Mr Usry, all individual must take a responsible for prevent this from happened in future.Thats why I always sharing this article to many media social. I hope this article can open many heart to solve this big problem to our nation. Thanks Mr. Usry on your opinion. zaman makin canggih..makin bertambah gejala sosial..
apa itu 1,2,3,4,5,6,7 dekat bar chart Factors influence of baby dumping?? Boleh saya tahu bar chart yang banyak banyak tu melambangkan apa ya? Boleh terangkan dengan lebih terperinci?